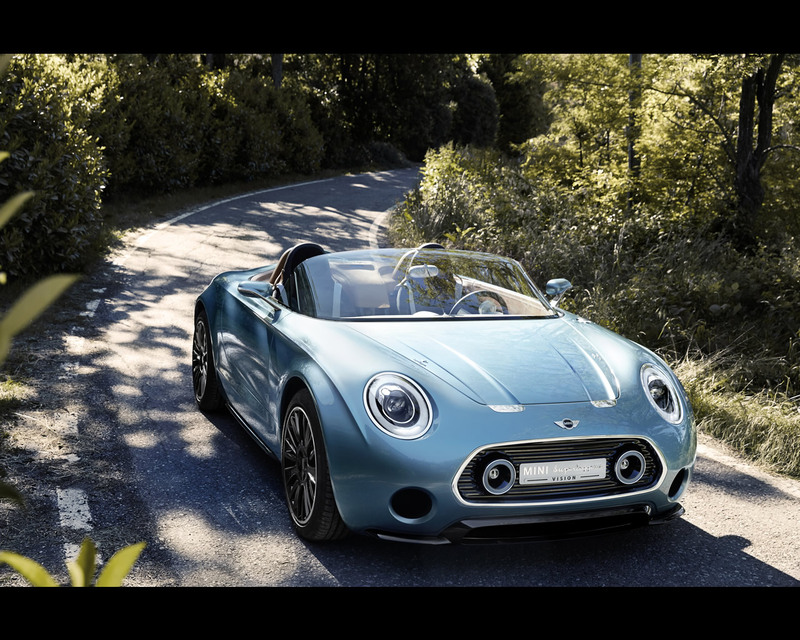 Adrian van Hooydonk, Senior Vice President BMW Group Design on the concept: "Touring Superleggera and MINI have much in common: both companies attach great importance to their history and this is something which defines their outward appearance to this day. What is more, they both emphasise iconic design and distinctive solutions. 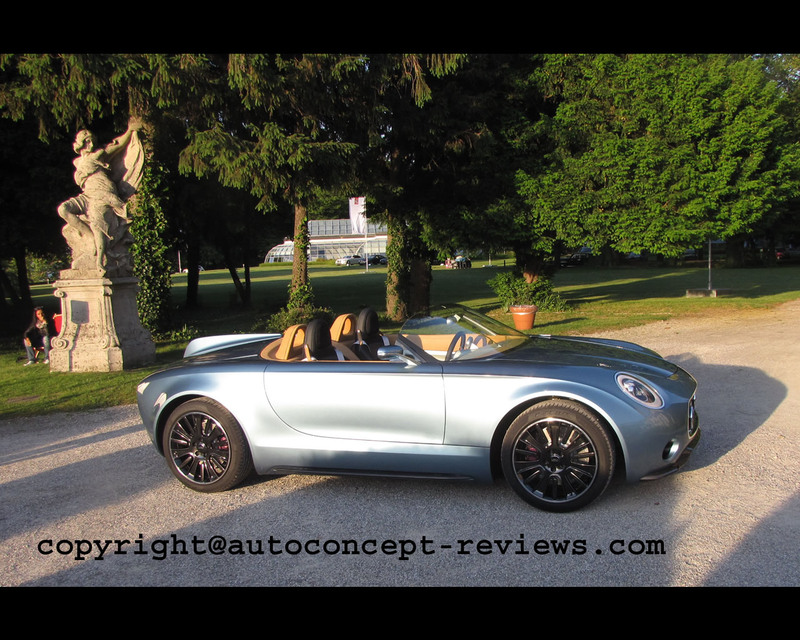 These elements are merged in the MINI Superleggera TM Vision to create an elegant automobile which interprets a British roadster under the influence of Italian style and hand craftsmanship." 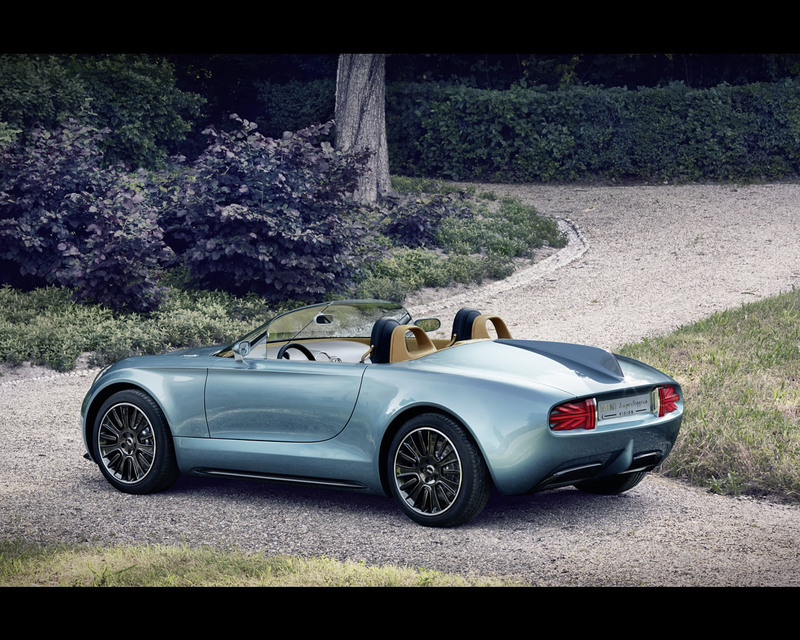 "The MINI Superleggera TM Vision elegantly perpetuates what the Classic Mini started 55 years ago: reduction to the essentials. 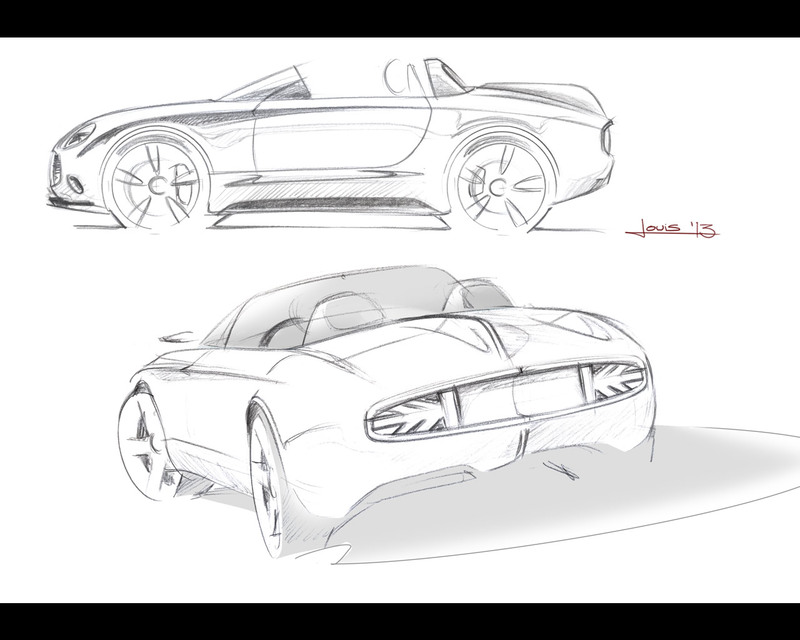 Its energetic, minimalistic design embodies the dynamic essence of an automobile. 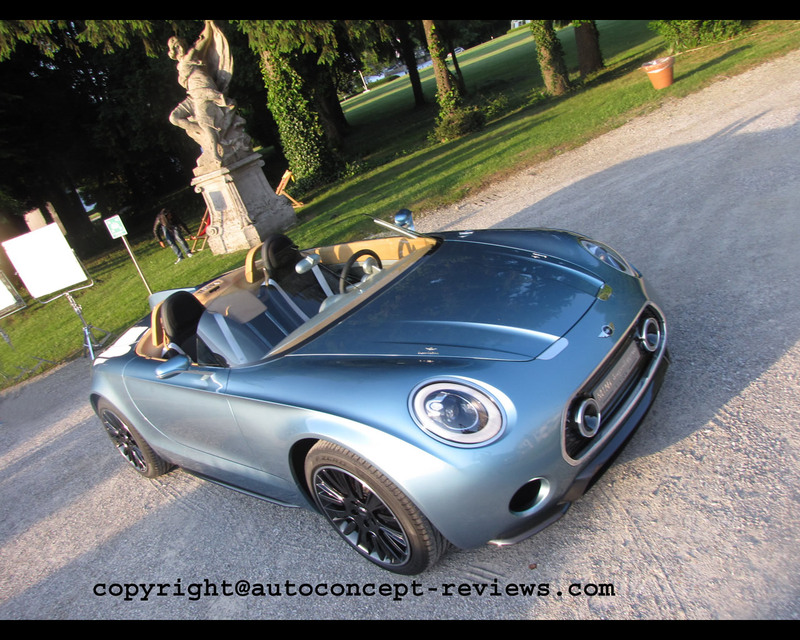 At the same time it creates unique emotional beauty in combining the past and future of the automotive industry, i.e. traditional coachwork craftsmanship and modern design styling. 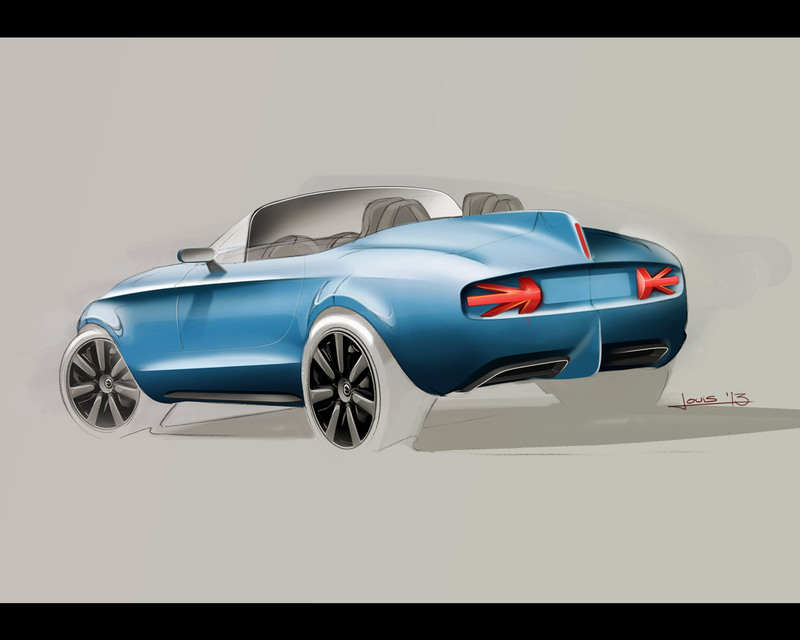 It was a pleasure for me to design a concept like this." says Anders Warming, Head of MINI Design. 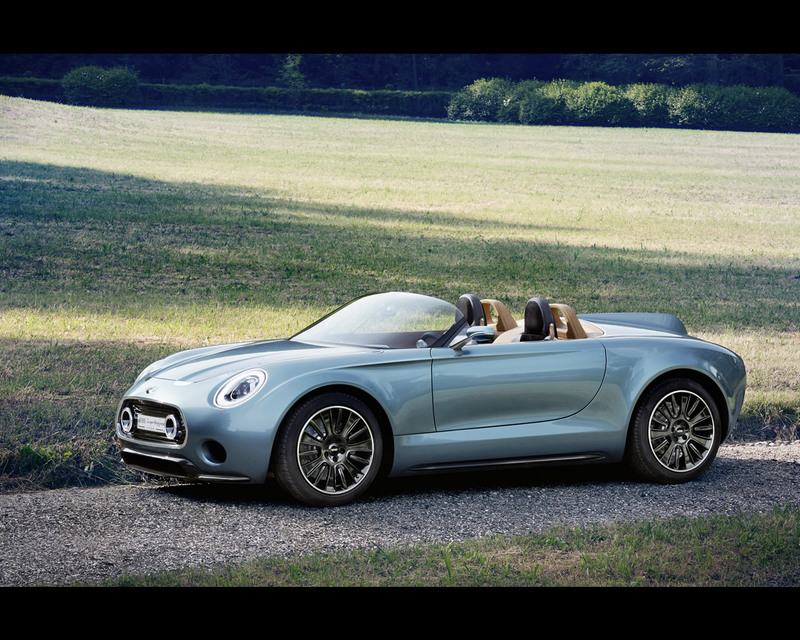 The perfectly balanced proportions indicate at first glance what the electrically powered MINI Superleggera™ Vision has to offer in terms of a driving experience: the stretched bonnet, long wheelbase and cool, short overhangs convey pure driving fun. 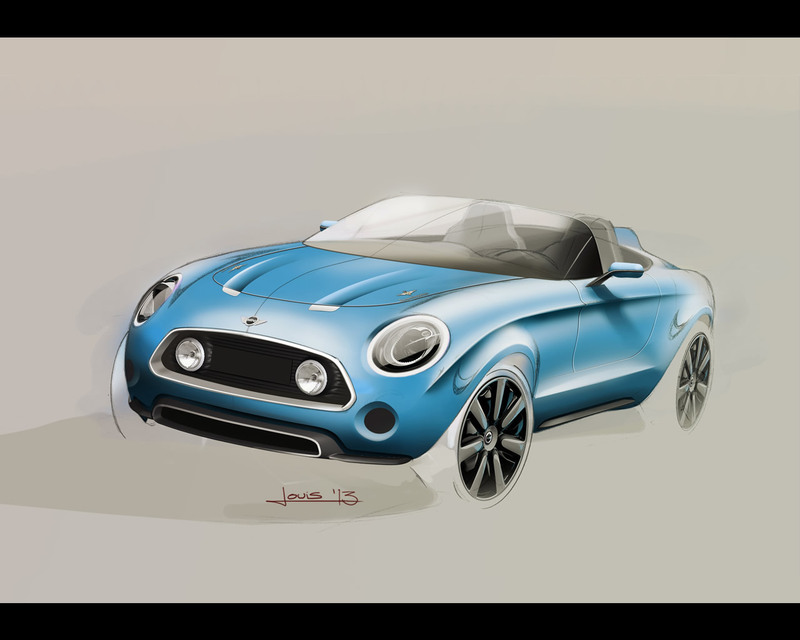 As in every MINI, the wheels are set widely on the body, promising a high degree of agility. 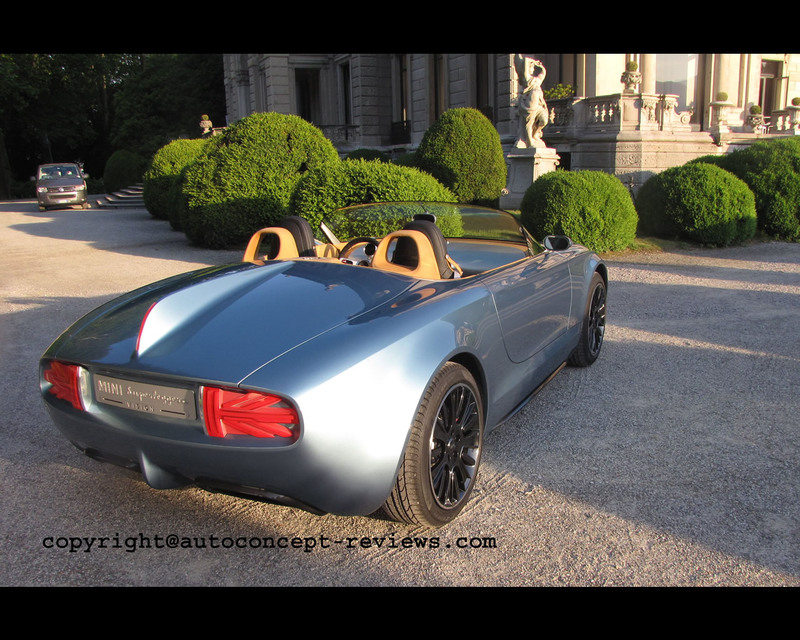 The passenger cell is slightly set back, further underscoring the car's dynamic impression. 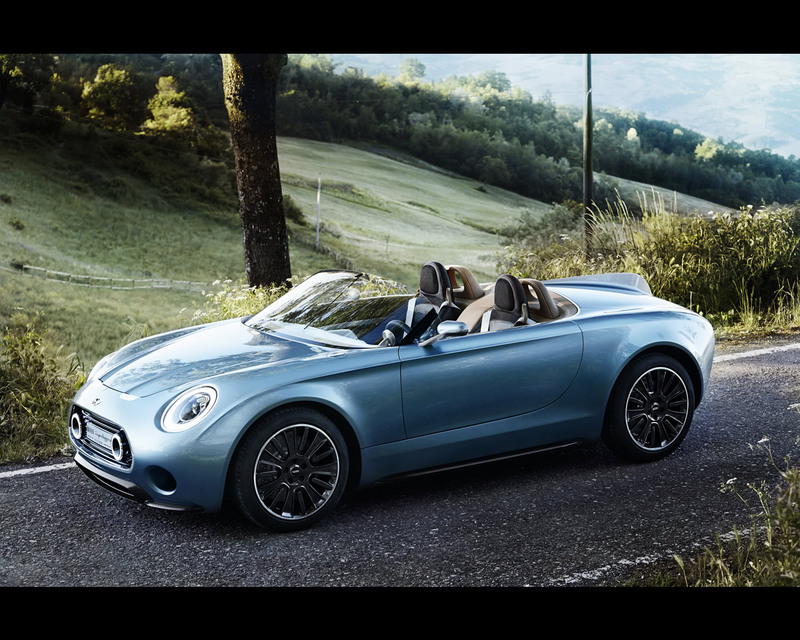 The overall effect of the MINI Superleggera™ Vision is sporty, elegant and dynamic. Meanwhile the horizontal rib look of the radiator grille adds a classic sporty touch. The fact that it is closed is a discreet indication of the car's electric motor. The two fog lights echo the circular contours of the headlamps, providing a smaller interpretation of them in the radiator grille. The air inlets are also circular, giving the front section a distinctive touch. A flat front splitter made of carbon fibre closes off the front to the road, thereby underscoring the car's sporty statement down to the last detail. 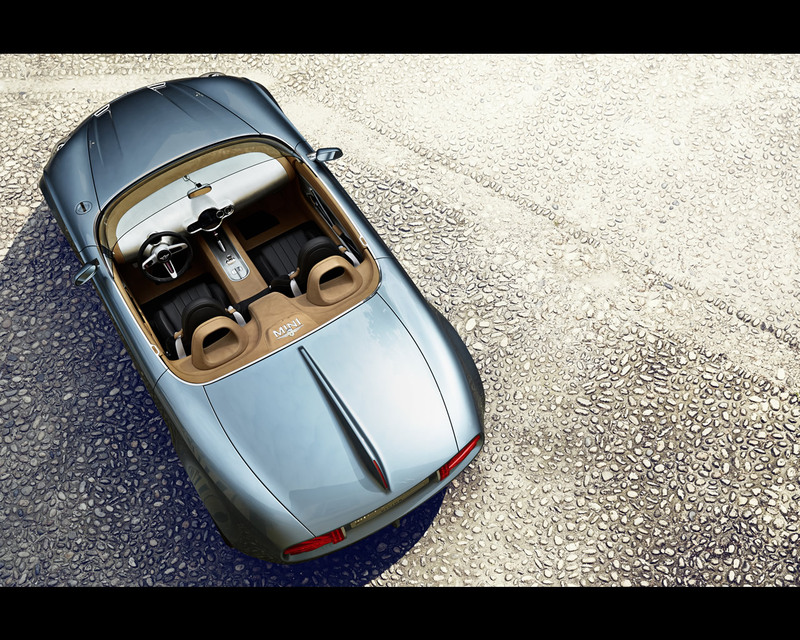 In its styling and in the look and feel of its materials, the interior design celebrates the tradition and the essence of classic coachwork construction. 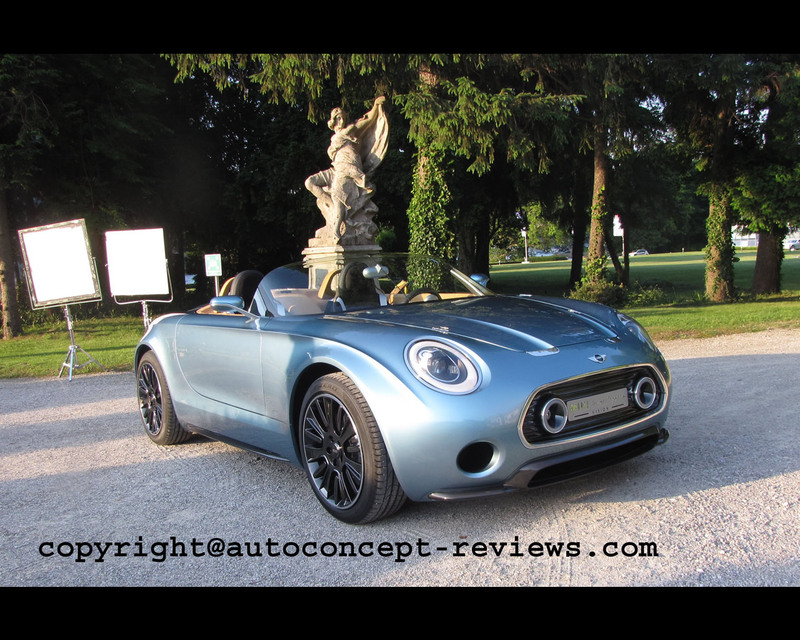 It reflects how the automobile was created: the essential features are quoted - the untreated aluminium sheeting and the tube-shaped structural elements - and they are made visible in the interior by means of a high-quality interpretation. This is most striking in the dashboard. 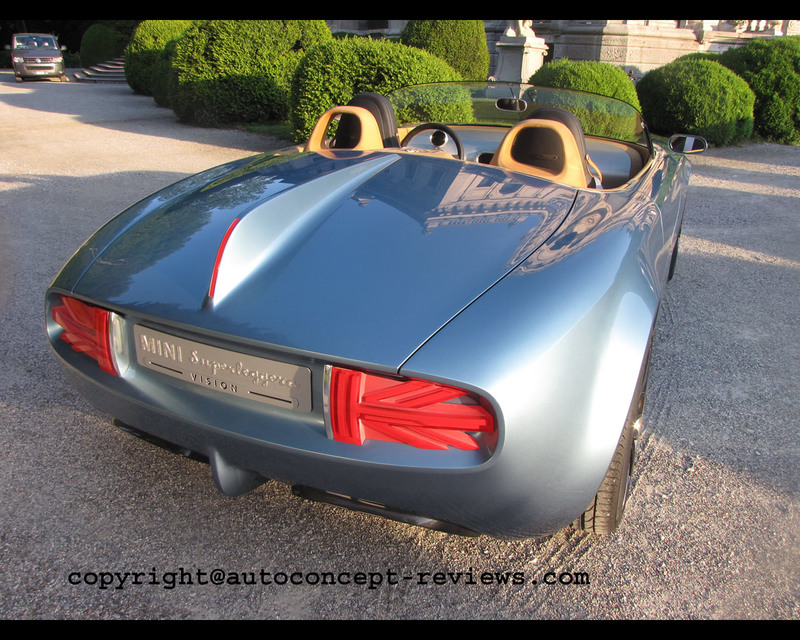 The latter is created from a single aluminium sheet and has been left in the state the automobile body would look like without a paint finish. The generously sized unpainted surfaces and the clearly visible hand craftsmanship of the dashboard go together to reflect the skilled artistry of the coachbuilders. 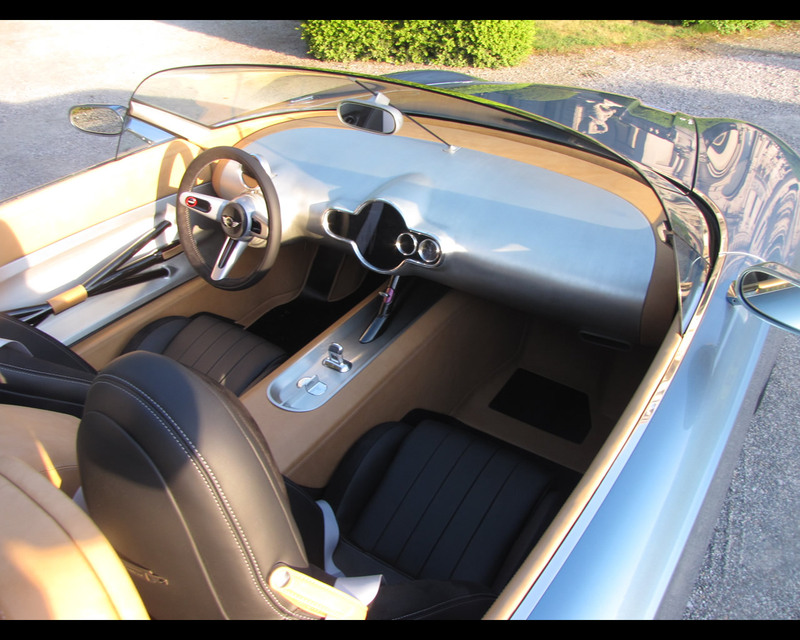 The doors and the sporty 3-spoke steering wheel likewise reveal the traditional method of construction. 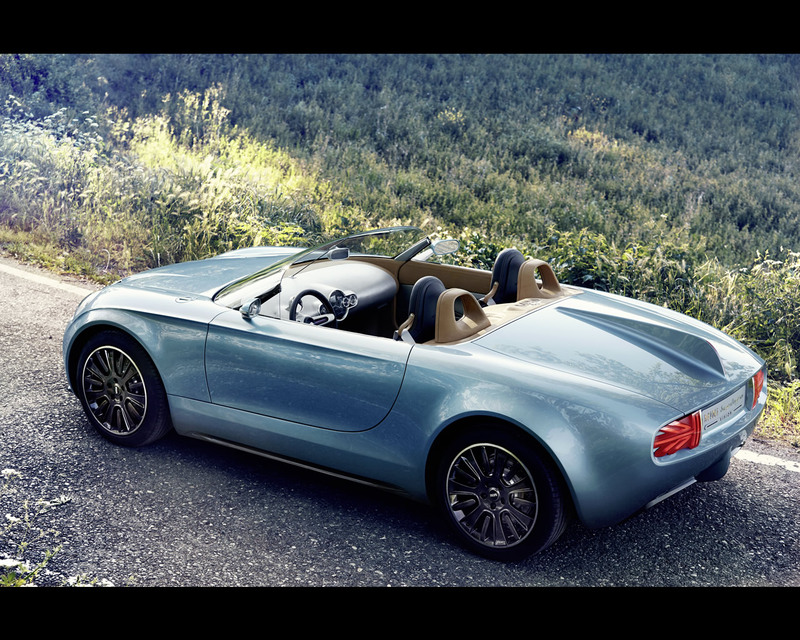 The structural elements in the doors form a Union Jack, discreetly indicating the British origins of the MINI Superleggera™ Vision.